On September 12, KAIST gave a seminar on its 10 core patent technologies with the help of Korea Technology Finance Corporation (KOTEC) in COEX, Seoul. 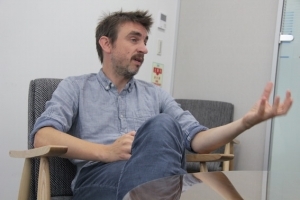 On September 13, Professor of Cognitive Neuroscience Christopher Summerfield from the University of Oxford gave a seminar on his research regarding neuroscience-inspired artificial intelligence (AI). 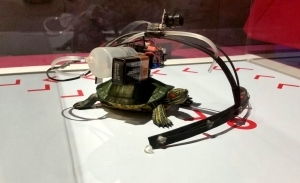 In accordance with the industrial trend known as the “Fourth Industrial Revolution”, KAIST has declared its plans to establish the Meditation Research Center by June 2018. 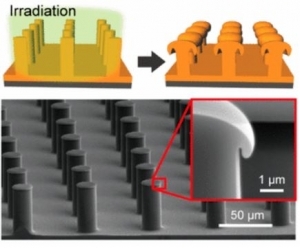 Fabrication technology that may enable a more economical production of liquid-repellent surfaces was recently developed by a research team led by Professor Shin-Hyun Kim and Professor Hee Tak Kim from the Department of Chemical and Biomolecular Engineering. Liver cancer ranks as one of the most common cancers in the world. A closer inspection on this type of cancer in South Korea reveals a significant overrepresentation of the disease. 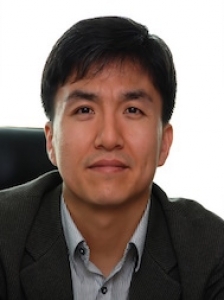 Professor Kyung Cheol Choi’s research team has successfully integrated fabrics into organic light-emitting diodes (OLEDs) to create ultra-flexible wearable displays. On September 7, the Research Center for Smart Submerged Floating Tunnel Systems was inaugurated in KAIST. 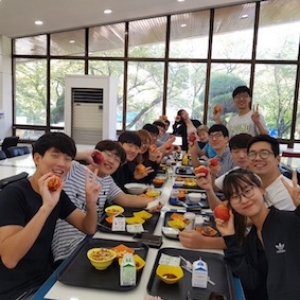 On the first day of September, seven faculty members including the KAIST president, Sung-Chul Shin, himself came to the KAIMARU Student Cafeteria (N11) in the morning to hand out peaches for KAIST students to enjoy during their breakfast. A team of South Korean scientists from Hanyang University recently collaborated with scientists from the University of Texas to develop high-tech yarn that generates electricity. Engineers at the University of New South Wales have announced a new architecture for quantum computing. Collaborative research between Washington University School of Medicine and the University of California San Diego School of Medicine has recently shown that the Zika virus’ lethality can be maneuvered to kill malignant cancer cells in the brain. In a recent study published on September 6 in the journal Nature Communications, biologists at University of California, Los Angeles (UCLA) claimed to have found a way to slow down aging. 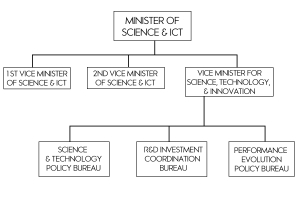 On August 31, Professor Dae-sik Im of the Department of Biological Sciences was appointed Vice Minister for Science, Technology and Innovation (STI) by President Jae-in Moon. While the chaos of the presidential election period had put the limelight on the presidential candidates, when Jae-in Moon cemented his position as the 19th President of South Korea, the focus shifted to his picks for his closest aides. 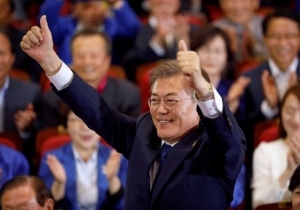 Some called it a foregone conclusion; Jae-in Moon, now the 19th President of the Republic of Korea, comfortably celebrated his victory on May 10 after a sweeping 41.1% plurality against 24.0% of Liberty Korea Party candidate Jun-pyo Hong. 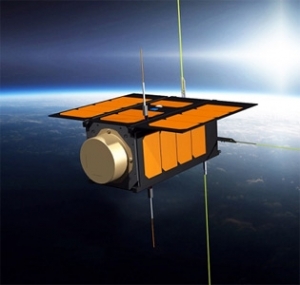 A team led by Professor Hyochoong Bang from the Department of Aerospace Engineering successfully launched Little Intelligent Nanosatellite of KAIST (LINK) aboard the Atlas V booster of the NASA CRS- 7 Mission on April 18. 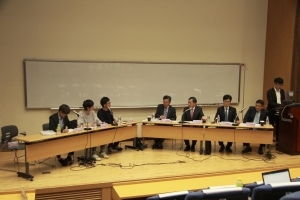 On April 25, students gathered to directly inquire President Shin about his solutions for the multifarious issues plaguing the community and his announced policies for the future of KAIST.